Did you just get a hot tub? Or are you having problems with an existing one? Maybe your water is cloudy, or foamy, or smells. Or maybe you just got a new tub and don’t want that to happen. Or maybe, like me, you don’t want to waste money on overpriced pool store chemicals that aren’t even as good as the cheap stuff you can buy in the laundry aisle of any supermarket. If any of the above are true, this is the guide for you. 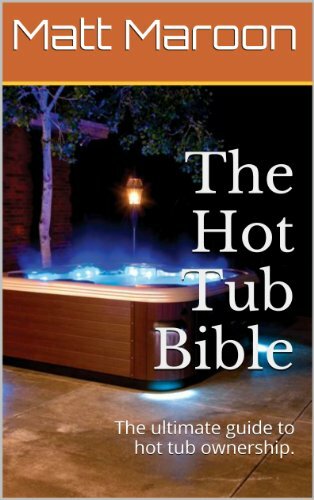 In it I explain everything you need to know about hot tub maintenance. I’ll teach you how to balance and sanitize your water, clean your tub, and keep your spa happy. I’ll show you how to fix water problems that might develop and kill nasty biofilms. I’ll give you the lowdown on which chemicals you actually need, and which just exist to make your pool and spa store money. I’ve included both detailed explanations of the inner workings of your hot tub’s water chemistry, for those interested in a deeper understanding, and simple, easy to follow directions for everyone else. Even a child could follow my three step guide to sanitation, and doing so will keep you from ever getting nasty bugs. I’ve even included a section at the back about buying hot tubs that will save you the cover price of this book twenty times over.